worked since 1983. For seventeen years she has reviewed the galleys of every article, short story, poem, and feature scheduled to appear in the magazine. Barbara writes articles for The Atlantic, as well. 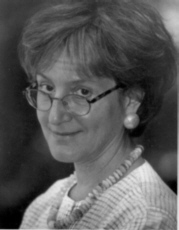 In 1995 the magazine inaugurated her bimonthly column, Word Court, in which she resolves readers' disputes about language. Quickly it became one of the magazine's most popular features, and it led to Barbara's recent book Word Court. This is no mere compilation of columns but brings favorite questions and answers together with a great deal of new, previously unpublished material. In USA Today, Anne Stephenson called the book "a beguiling mix of charm and research." Charles Harrington Elster wrote in The San Diego Union-Tribune, "If I had to pick a favorite book of word lore for the season, it would be Barbara Wallraff's Word Court." Now a Web feature called Word Police has grown out of the book. Here people who pass a Word Police Academy exam earn the right to print out a diploma and grammar citations, which they may issue to their ungrammatical friends. Word Police was recently a Yahoo Pick of the Week. The Atlantic's website as a whole, Atlantic Unbound, is currently a finalist for the National Magazine Award for New Media. Barbara's authority has long extended beyond the pages of her magazine. She has served as a consultant to publishers, written dictionary usage notes, and taught manuscript editing as a graduate-level seminar. She teaches each summer at the Radcliffe Publishing Course. For the bicentennial of the U.S. Constitution, National Public Radio commissioned her to copy-edit the Constitution. Wallraff also assigns and edits The Atlantic's travel section. And she herself writes articles for the magazine, often about travel. She says, "The Atlantic's readers are great travelers. As if my job weren't pleasure enough, wherever I go -- Alaska, Tahiti, Chile, France -- I meet devoted subscribers. They make me feel extremely lucky to be associated with the magazine." Barbara talked with us about how she got her start as an editor, how she created her popular Word Court column and gives some great tips for writers who feel their work could use some polishing in the grammar and style department. I liked to read anything. I was always late for breakfast because I was reading. But I liked to write even better. When I was in fifth grade, I was editor, publisher, and lead reporter of a newspaper that sold for two cents a copy on the playground of my elementary school. At the end of the year we donated the profits to the John F. Kennedy Library. Kennedy had been assassinated the previous November, and the library was being planned in Boston. Now I live in Boston, and when I visit the library, it makes me proud. What was your first job as an editor? I suppose that was, in fifth grade. The first person to hire me to work as an editor was the editor-in-chief of The Boston Phoenix, about 1979. What led up to your being hired at The Atlantic Monthly? I'd been at the Phoenix for what in terms of that publication was a long time. I remember another female staff member saying to me admiringly circa 1982, "You're the most senior woman on the editorial staff here!" When I left the Phoenix for The Atlantic, a year later, I was moving to a place where the "most senior woman" had been there forty years, not four. She's Phoebe-Lou Adams, and now, seventeen years later, she is still on the staff, as The Atlantic's Brief Reviews books columnist. The answer to your question is that I spent years dogging the trail of Bill Whitworth, who was our editor-in-chief until this year. I wanted to work at The Atlantic; I sent Bill a resume; he invited me in to talk with him, though he had no openings at the time; he asked for samples of my work; he said he liked them; and thereafter I kept reminding him of me, politely. When he called me again and told me that there was a job opening and that I was one of the people being considered for it, I became so deranged with eagerness that I cut up an article or two from The New Yorker, where he had previously worked for many years. I made the page into galleys, marked them up with my improvements, and sent them to him. He called me a few days later with a job offer. Who are some of the writers you have worked with at The Atlantic Monthly? Working with authors can be very time-consuming if you do it right, and I am expected to read and comment on the galleys of every article, story, feature, and poem in every issue. So for the most part I stay behind the scenes and someone else talks with the authors and coordinates various people's suggestions and comments. Do you discuss your proposed changes with the writers? Is that ever a difficult thing to do? The Atlantic certainly tries to discuss proposed changes with authors to the extent that authors want to hear about them. Sometimes they don't want to hear about small things; sometimes they want to hear about every single thing. Their names are on their pieces, after all -- and, really, all we want to do is make them look good. There's no conflict of interest there. I will admit, though, that sometimes, it's hard to persuade authors of that. Some well-known authors are very much open to suggestions, and love having conversations about how to achieve the effects they want to achieve -- and some don't. How did the Word Court column come into being? I had long thought that something like it would be popular. Then in 1994, when America Online had about half a million subscribers, The Atlantic became an AOL "content provider," and we editors were told that if there was something special we'd like to do online, we should feel free to suggest it. I said, Why don't I answer language questions that subscribers post. I offered to do this for a month -- not live, but every day. By the end of the month I was getting phone calls from Internet magazines and so on asking for interviews because I had one of the most popular columns online. It was sad to have to tell them that the "column" would just be running for another few days -- but it was taking up all my time, and I needed to declare my experiment a success and move on. At that point I had a thick sheaf of printouts that I could use to demonstrate that people certainly were interested in language issues, and that I was good at answering their questions. Word Court joined the rotation of word columns on the back page of The Atlantic the next year. What was your inspiration to write Word Court, the book? book. Well before I got around to thinking seriously about doing so, an editor at Harcourt called me and suggested it. The column appears just once every other month, though, so there was only enough existing material to make a book of about sixty pages. I had to get busy and add a lot of new material. Word Court the book has 360 pages, plus an index. The book gave me a chance to respond to some wonderful letters that would never have been able to appear in The Atlantic, because in each column I need to publish and respond to three or four letters, on a page containing approximately 800 words. Lots of letters just don't fit that format. Then, too, the book has long narrative sections, because I have lots of things to say about language that don't fit the column's format. The book also includes a number of letters following up on questions and answers that have appeared in the column, so that readers can see which of my answers have been controversial, which have elicited further thoughts from people, and which have generated a great deal of criticism or support. In Word Court, you discuss a growing problem in today's world -- the assimilation of jargon into the mainstream. When acting as an editor, how "jargon-friendly" are you? What criteria do you use to decide if a given term should be used in a nonfiction piece? The Atlantic publishes many pieces by people who are experts in specialized fields. Let's take climate change as an example. By the time you, as a reader, get a few pages into a piece about climate change, you'll probably be glad to have learned a bit of specialized lingo, because it will save you having to read the same long phrases over and over again. But of course the jargon needs to be defined at the outset, and if the jargon just amounts to a more elaborate word or phrase for something simple -- "utilize" instead of "use," that sort of thing -- we're not in favor of it. Whether jargon makes things simpler or more complicated for the reader is the criterion. The proliferation of email has more people than ever corresponding using the written word. Many people treat email as if it were a spoken conversation, using slang and omitting basic sentence structure. Others approach drafting an email as they would a formal, written letter. What is your opinion on this subject? I like email, and I don't see why it can't serve either formal or informal purposes, according to the occasion. Time was, the postal service delivered letters a few times a day, and, say, a man could write a note to his wife to let her know he'd be home late or early, and she could write back and ask him to remember to bring something or other home with him. Then came the telephone, and all little, spontaneous communications like that started to be spoken. This is too bad, because people become better writers the more they write. If you're just writing a casual email to a pal, it needn't be literature. Writing email can be good practice in writing in a conversational way. Many people find the subject of grammar quite intimidating. Why do you think this is true? I think they must have been taught in an unfortunate manner. Most people use perfectly good grammar the great majority of the time, and still many of them are intimidated. They may not know the names for all the parts of speech, or be able to explain how the parts are allowed to go together, but their speech and writing reflect knowledge of what is correct, all the same. I think it's sad if people are intimidated by grammar, because, again, it's not that complicated -- and knowing some grammar helps us express ourselves better. Grammar is not supposed to be some arcane cult with a punitive intent. "I think it's sad if people are intimidated by grammar, because, again, it's not that complicated -- and knowing some grammar helps us express ourselves better. Grammar is not supposed to be some arcane cult with a punitive intent." I love seeing the range of issues that people raise in questions to Word Court, and tracking down answers that require original research. When the Word Court column got under way, my fear was that all I'd get would be a narrow range of copy-editing-type questions, over and over. But fascinating and fun new stuff arrives in the mail every day: Have I noticed that people are using "ironic" very loosely, or even in a way opposite to what it used to mean? Is it okay to use "weed-eat" as a verb? Is it offensive to refer to electrical connectors as "male" and "female"? What tips do you have for writers who have finished an article, and now need to do a final edit? What should they look for? The trick is to try to put the piece aside for however long it takes you to be able to see it as if you were just a reader, and not the writer of it. For my own part, the only way I know of to hasten this process is to submit the piece someplace I care about. Once I've done that -- once I've turned in a column or a piece -- it's easier to see it as if through my ideal reader's eyes. But then, unfortunately, it's too late to change what I've written in time to improve its chances of being well received. What kinds of style and grammar issues do you see when editing the fiction for The Atlantic Monthly? Fiction is a special case. In fiction, grammar doesn't matter, unless the character in whose voice the story is written is meant to be educated and proper. More often what's important is the authenticity of the voice. What is your advice to someone who feels his grammar skills are not what they should be? How should he go about improving them, if school is long behind him? I do like to think that my new book, Word Court, would be helpful. It includes a long chapter on grammar, covering a "grammarian's dozen" of issues that people often misunderstand. Other books that people should take a look at in the bookstore and see if they strike a chord (this is a short list gleaned from a longer one that appears in my book) are Merriam Webster's English Usage Dictionary (though this is awfully permissive, in my view), Theodore M. Bernstein's The Careful Writer, H. W. Fowler's Modern English Usage (first or second edition -- a wonderful reference work but, alas, increasingly out of date; the third edition has its good points, but it's simply not the same book), and Bryan A. Garner's A Dictionary of Modern American Usage. The American Heritage Dictionary might be helpful, too, because it has excellent usage notes. Off duty I read mostly fiction, by a wide range of authors. I don't like writers who are obviously imposing themselves on their subjects in a didactic way; I am thrilled by authors who seem to be fascinated by what they're writing about and want to share those subjects with others -- anyone from Iris Murdoch and Anthony Powell and Ian McEwan to Elmore Leonard and Carl Hiassen. What are your favorite ways to relax when you're not writing or working? Oh, just give me a quiet evening of copy-editing Proust or Henry James while doing crossword puzzles. And playing Scrabble -- over the Internet, of course!